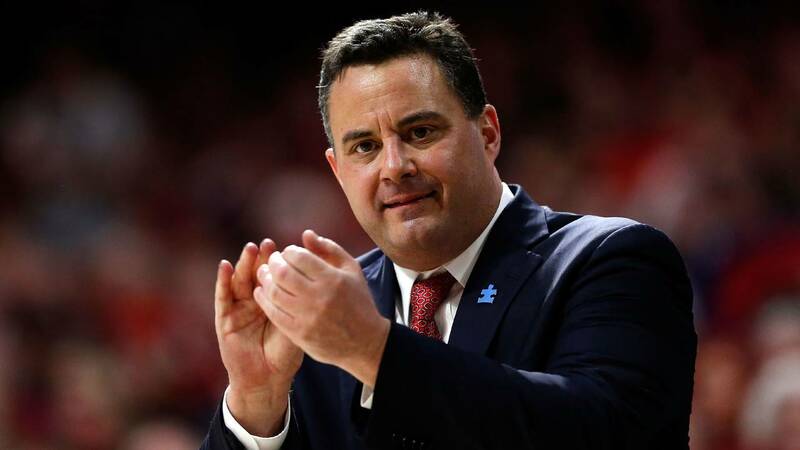 Arizona coach Sean Miller on Thursday denied an ESPN report claiming FBI wiretaps caught him discussing paying a top recruit to join the Wildcats. On Friday, ESPN cited anonymous sources in reporting that Miller had discussed a $100,000 payment to current Wildcats freshman Deandre Ayton with a representative for ex-NBA agent Andy Miller. "There was no such conversation," Miller said during Thursday's news conference. "These statements have damaged me, my family, the university, Deandre Ayton and his incredible family." Ayton and his family have also denied receiving any money to attend Arizona. Miller did say Thursday that he was once approached about paying a player to get him to attend Arizona, but did not reveal any specifics about that instance. "The one time someone suggested to me paying a player to come to the University of Arizona, I did not agree to it," he said. "It never happened and that player did not come to the University of Arizona." Despite Miller's denial, ESPN has said it stands by its original reporting. Miller has not coached since the report was published. He sat out the No. 19 Wildcats' road loss to Oregon on Saturday. The 22-7 team, which sits atop the Pac-12 standings with a 12-4 conference record, plays Stanford at home Thursday night. The Arizona Board of Regents was scheduled to meet later Thursday in a closed meeting to receive legal advice and discuss Miller's contract.